Q College, Victoria’s School for Business Technology, is a fully PCTIA-accredited college with StudentAid BC designation. 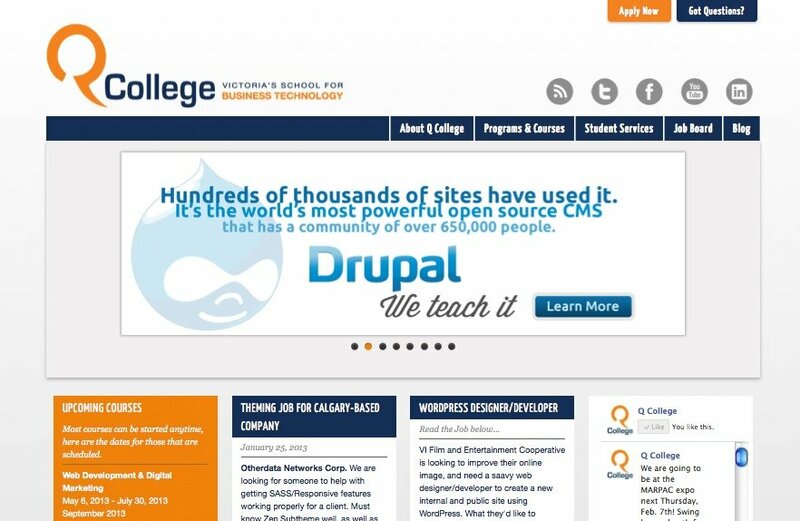 They offer a full range of fast-track, short duration programs targeting niche web and computer related industries, including Drupal, WordPress, internet marketing, social media, Microsoft Office, Adobe Creative Suite, QuickBooks and more. Formerly the Victoria School of Business and Technology (VSBT), Q College is committed to continual growth with new programs designed to give students the most current perspective on technology.